What Lies Ahead Within The Security Industry? The future of security is constantly growing and evolving. At the last Milestone Integration Platform Symposium, there was a panel discussing the future of video surveillance. What was so fascinating was how the integration of technology was being discussed seemingly everywhere. In fact, from a camera standpoint, integrating technologies has allowed companies to really grow and evolve. Using the next generation of sensors into all the new technology allows cameras in particular to provide excellent security measures. In fact, being able to innovate a device like a camera which has been in existence for a long period of time requires creativity and innovation. As a result, innovators are now less concerned about connectivity and instead are more focused on designing products that provide even more security protection. Most individuals within the security and technology industry understand the struggles associated with ensuring secure protocols when developing new products. Innovators are now, more than ever before focusing on storage requirements that are larger than ever before while maintaining security measures in place. As a result, the future of security looks like it will include bigger storage capabilities that are a much-needed innovation for many businesses. Probably the most common aspect of the security industry that is definitely going to see some changes and evolution is the wireless sector. In fact, it is more common for businesses to incorporate wireless security measures within their businesses and the trend continues to rise at a remarkable rate. 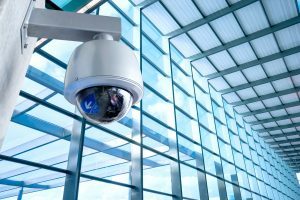 As a result, providing video surveillance systems that can be accessed on mobile phones is just one way that the future of technology and security is being integrated for future generations to enjoy. While there are ways that the security industry is likely to grow, there are also some ways in which the growth is not likely to be as rapid. This is especially true when it comes to IP video. In fact, the growth seems to be in body-worn cameras as a way to provide security measures when it comes to video surveillance. This entry was posted on Tuesday, July 11th, 2017 at 11:23 am. Both comments and pings are currently closed.